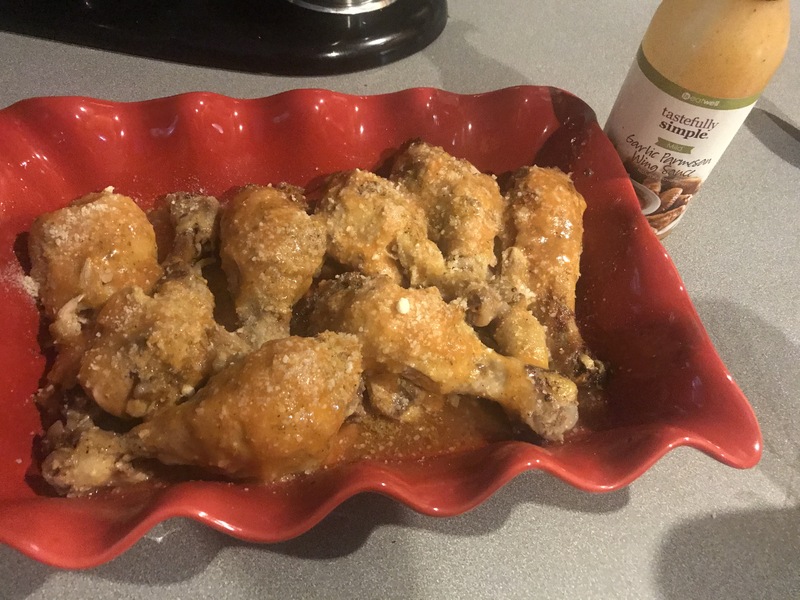 These my friends were done in the crockpot and let me tell you…the chicken literally did not stay on the bone. My friend Lisa sells Tastefully Simple and you can purchase this great seasoning from her on her site! It’s delicious on potatoes and as a dip also! Okay, back on track! Add about a 1/2 cup measure of water to the pot. 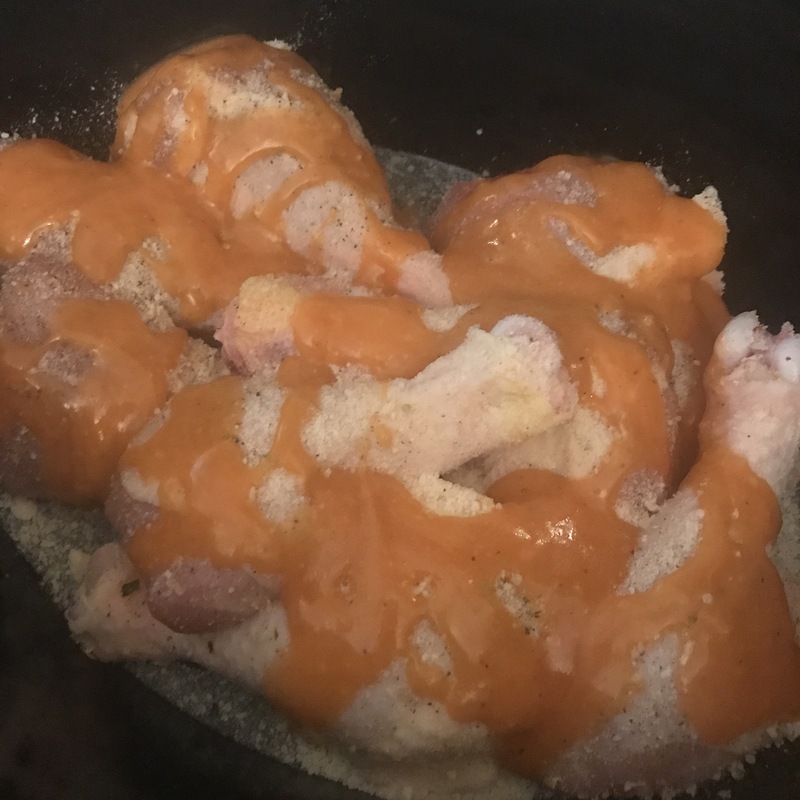 Now, add the TS Wing Sauce, buffalo sauce and top the chicken with Parmesan. 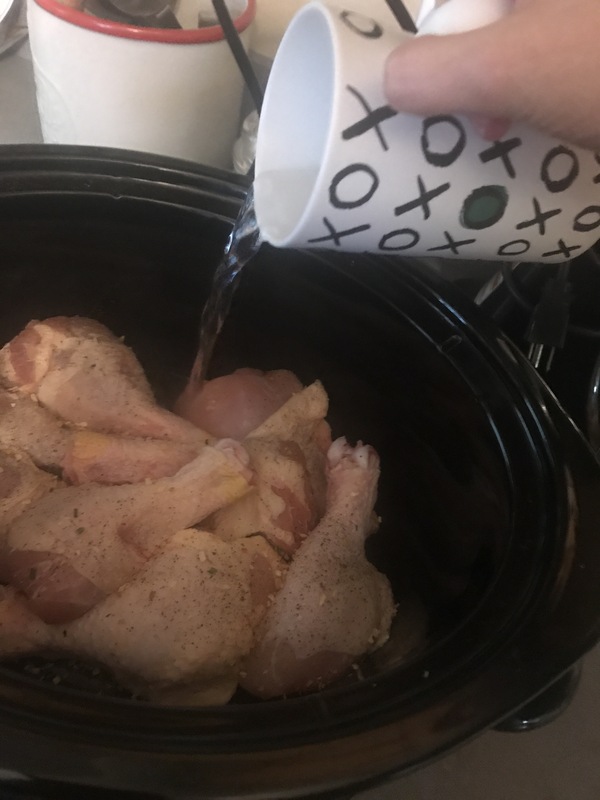 Set your slow cooker on high and 4 hours and you will have magical, juicy and flavorful chicken!Once the four hours pass, place your chicken in a baking dish. 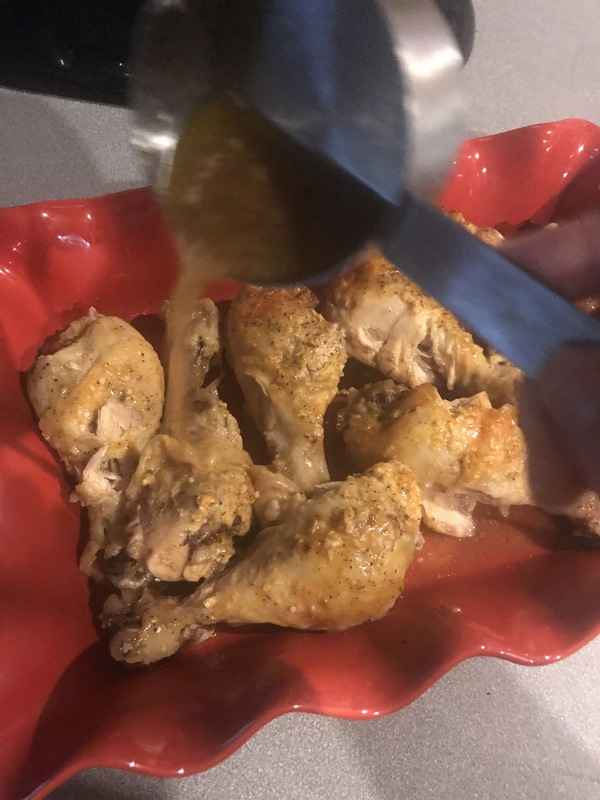 Take a measuring cup and scoop out about half a cup of juice from the slow cooker and pour it over he chicken – more flavor!!! Top the chicken with another couple of dashes of your sauces and parmesan… and presto! DONE!